I was recently introduced to Big Chill by Lisa Tilley, Community Coordinator at the organization and I fell in love with their range of absolutely unique and vintage kitchen appliances. So it was no surprise that I jumped at the invitation to take part in their “Color of the Month” challenge. Given my love for all things colorful and quirky, I thought it was a great idea to incorporate these elements in the main appliances that are central to any kitchen. The colors are bold and totally fun and I would love for them to adorn my kitchen! 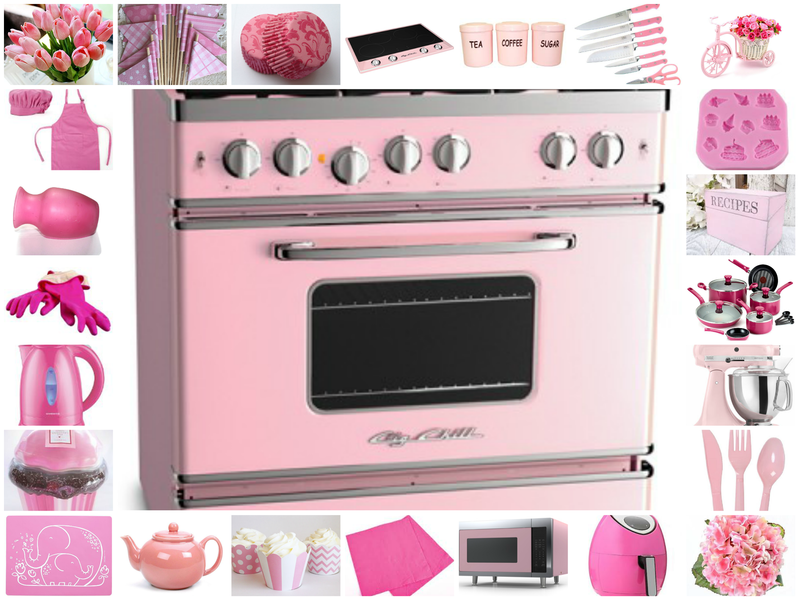 Inspired by Big Chill’s stove which is the epicenter of any kitchen, I created a style board with some other wonderful products available online using one of my favorite colors Lemonade pink as the main theme. Disclaimer: All opinions are my own and I have not received any freebies or monetary compensation for this post. Good choice of color and the composition is too good. Thanks a lot Indrani:) So happy you liked it.